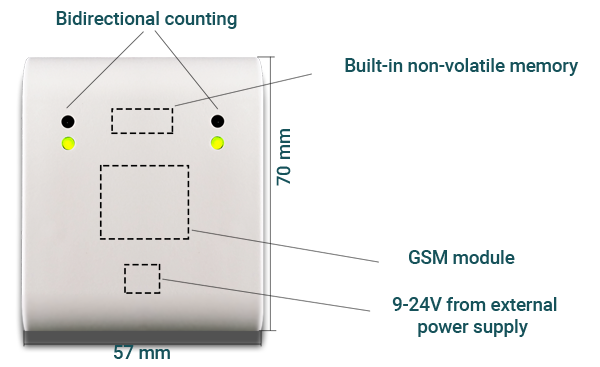 RegSys GS-510 – this is dual-direction people counting system which has a possibility of statistics data transferring through GPRS, without connecting to a computer. People counting system GS-510 – is independent and compact solution. 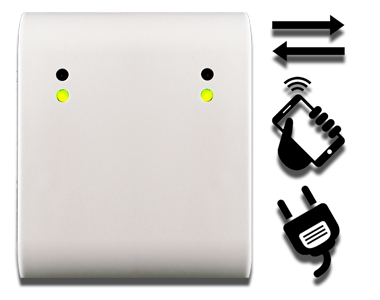 The device is equipped with a nonvolatile memory for offline storage of statistics data. Statistics are stored in a central database MySQL server. Statistics data transferring to the database is made via GPRS. Further analysis and data processing proceeded by a dedicated web site (see description). The system is intended primarily for accounting statistics in the placements where is no need to install a few pairs of sensors connected to one base station. The main advantages of this system is autonomous and ease of installation. There is no need to lay cable and connect a meters to the PC, there is no binding to the single computer, as a visitor statistics can be viewed from any computer connected to the Internet. For those who want to import statistics data to his own software, there is ability of the automatic data exporting from the statistics site.